Research your vet as thoroughly as your physician. To help you find a veterinarian who provides the care and service your critter deserves without wrecking your treat budget, consumer group Puget Sound Consumers’ Checkbook magazine and Checkbook.org have evaluated area veterinary clinics and hospitals. 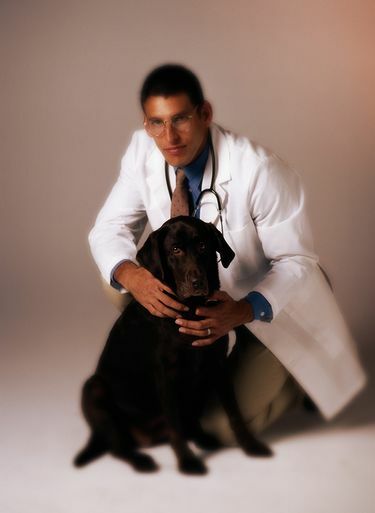 Just as you carefully choose physicians to treat the humans near and dear to you, you want top-notch health care for your pets. As with choosing a physician, while you can’t assess all aspects of a veterinarian’s technical skills and expertise, you can judge many factors central to good medical care: Does the vet listen to you and communicate well? Can you arrange to quickly get an appointment? Spend enough time with you? Give useful advice on preventing diseases, warning signs, and treatments you can administer on your own? Seem competent and thorough? To help you find a veterinarian who provides the care and service your critter deserves without wrecking your treat budget, nonprofit consumer group Puget Sound Consumers’ Checkbook magazine and Checkbook.org have evaluated area veterinary clinics and hospitals. For the next month, Checkbook is offering free access to its ratings of area veterinarians to Seattle Times readers via this link: Checkbook.org/seattletimes/vets. To evaluate the vets for quality, Checkbook surveyed its members and Consumer Reports subscribers. Most of the feedback Checkbook gets for vets is favorable, but some practices received low scores on many survey questions. Veterinary hospitals can become accredited by the American Animal Hospital Association (AAHA) by meeting certain minimum standards: maintaining adequate medical records and providing complete diagnostic, pharmacy, anesthetic, surgical, nursing, dental, and emergency service facilities. Interestingly, among the veterinary practices evaluated by Checkbook, AAHA accreditation seems to have little relationship to service quality. For example, on its customer survey question “apparent competence/thoroughness,” AAHA-accredited practices, on average, scored about the same as non-accredited practices. Although you want the best possible care for your pet, you don’t want it to cost you your life’s savings. Unfortunately, this is an area where consumers are often dissatisfied. The most common complaints Checkbook receives from vet customers concern excessive and unexpectedly high bills. Many commented that vets not only failed to consider and discuss lower cost treatment alternatives, but also pushed costly treatments of little value to the pet and owner. To compare vets for price, Checkbook’s undercover shoppers called practices to collect their prices for six different procedures. There are astoundingly big price differences. For example, to spay a seven-month-old, 25-pound dog, area practices charge fees ranging from $122 to $616. And to clean the teeth of a four-year-old, 65-pound dog, fees ranged from $130 to $815. Fortunately, Checkbook found that many of the lowest priced vets received very high ratings from their surveyed customers. In short, you can save a lot of money without sacrificing the quality of care. Because veterinary treatment can be expensive, an increasing number of consumers buy health insurance for their pets. But before springing for insurance for your spaniel, carefully review the provisions and limitations of the policy. All the policies Checkbook reviewed have significant limitations and/or impose high deductibles and benefits usually are limited to a per-procedure price schedule. Checkbook’s view is that you shouldn’t buy insurance unless you need to protect yourself from expenses that would seriously disrupt your finances. Buying insurance to cover non-catastrophic expenses means you pay to cover the profit, sales costs, and administrative costs for an insurance company to process bills you could pay yourself. When considering whether or not to buy pet health insurance, first determine what you would do if your pet required expensive medical care. While many pet owners will pay anything to save their pets, others won’t. If you are in the latter group, pet insurance is not for you. If you belong to the pay-any-price group, consider pet insurance if huge vet bills would severely strain your finances. • Be aware that no plan covers pre-existing conditions. • Carefully review the policy, including fee schedules. Red flags are large copays; high annual premiums; and limitations or exclusions for conditions that might require costly care (such as cancer) or chronic conditions that require continual care. Stick with plans that offer a set schedule of fees for specific conditions and treatments, or that pay a percentage of total costs. • If the plan has a fee schedule, print it out and ask your vet to compare his or her fees to the insurance plan’s allowances. If the allowances are a lot lower than the vet’s fees, find a different plan. • You can usually get significantly lower premiums by choosing the highest deductible you can comfortably afford. • Don’t pay extra for some plans’ “wellness care” options. They aren’t worth the extra premiums. • Watch out for annual premium hikes. If your plan’s premium increases suddenly, consider switching to a different plan—but remember that a new plan will not cover pre-existing conditions. Puget Sound Consumers’ Checkbook magazine and Checkbook.org is a nonprofit organization with a mission to help consumers get the best service and lowest prices. We are supported by consumers and take no money from the service providers we evaluate. See ratings of area veterinarians for quality and price free of charge until April 26, 2017, at Checkbook.org/seattletimes/vets.